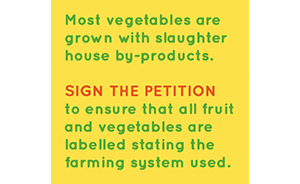 Whether you are a consumer or grower, it is vital for us to support the veganic movement and bring an end to animal agriculture. Veganic farms only use plant based fertilisers and no chemicals. Organic farms use slaughter house by-products such as fish, blood, bone and animal manure as fertiliser and no chemicals. Conventional farms use chemicals, slaughter house by-products such as fish, blood, bone and animal manure as fertilizer. Veganism is rising, but we still can’t buy food that is grown the vegan way. 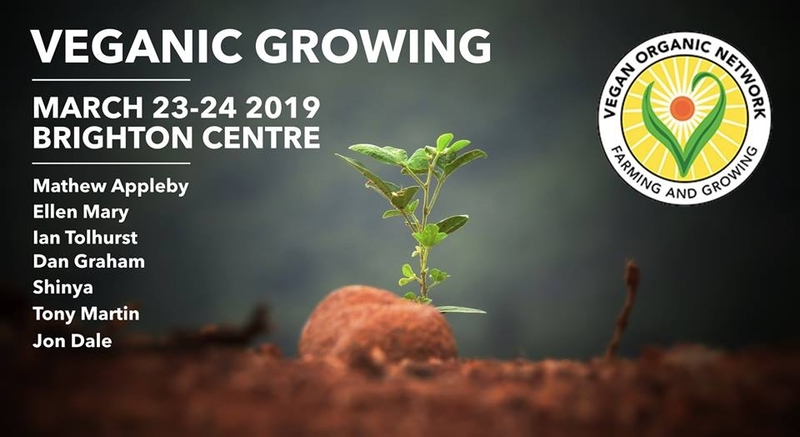 Come to the veganic talks area and learn how food production is connected to animal rights, veganism, pollution and the environment.